Syzui Pakchyan, author of Fashion Technology is having a book signing at the Barnes and Noble in Fisherman’s Wharf (2550 Taylor St.) at Noon on Saturday, October 11. Syuzi will also have some of the projects from the book on display for you to check out. Come to the book signing and then go out and enjoy the many activities happening around the bay for Fleet Week! Preview the book now by checking out our digital sampler online. 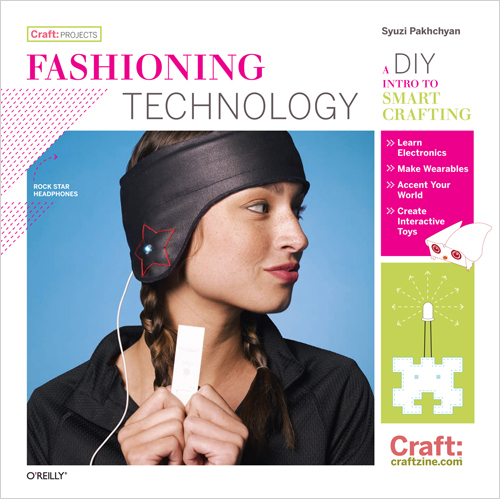 Buy Fashioning Technology by Syuzi Pakhchyan in the Maker Shed today!